It’s hard to believe that one of the most popular social media apps in existence would face this issue, but Snapchat just learned a major lesson. It’s official: The Rihanna/Chris Brown Snapchat ad cost the company $800 million after Rihanna called them out for it on Instagram, and is anyone surprised? Not only was the ad disrespectful to the singer and to victims of domestic violence in general, but the content was 100% inappropriate. A quick refresher on the situation: Snapchat shared an ad asking users if they’d rather “slap Rihanna” or “punch Chris Brown.” You probably don’t need us to explain to you how wrong that is, considering the former couple’s history (Brown admitted to beating Rihanna during a fight in 2009). Rihanna wasted no time pointing out how totally out of line it was in her Instagram stories, because duh — there’s no universe where this kind of ad is okay. Now SNAPCHAT I know you already know you ain’t my fav app out there! But I’m just trying to figure out what the point was with this mess! I’d love to call it ignorance but I know you ain’t that dumb. You spent money to animate something that would intentionally bring shame to DV victims and made a joke of it. And after the ad, it seems like Snapchat has lost TONS of money. According to CNN Money, Snapchat’s stock went down nearly 4% on Thursday, which means the company’s market value dropped $800 million — that’s a huge dent. The company told CNN that the ad was “disgusting” and that it’s “investigating how that happened so that we can make sure it never happens again,” and we don’t doubt that one bit. After such a dramatic stock plummet, we have a feeling no ads like this one are ever going to get through in the future. 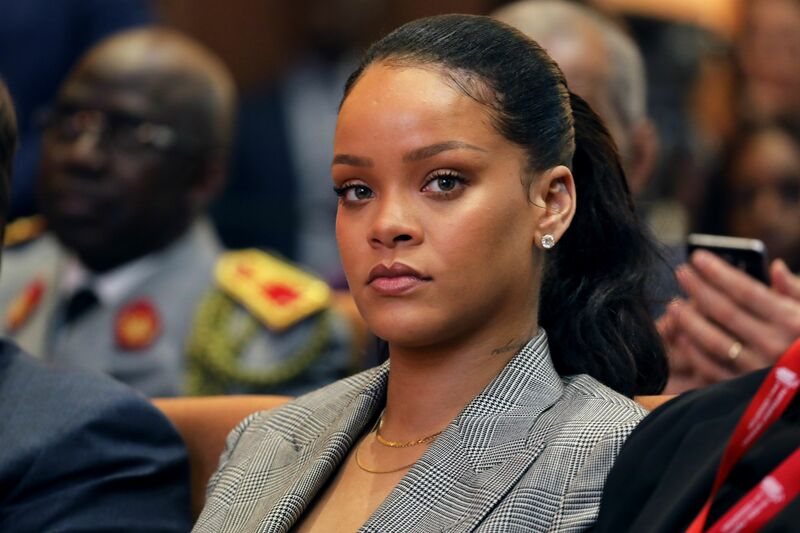 Good for Rihanna for speaking up — and good for stockholders for refusing to support an app that lets ads making light of domestic violence through its screening process. Jokes like these are never, ever okay, and now, hopefully more companies will be aware of that.